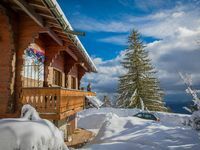 Properties in Foret de la Joux average 4.6 out of 5 stars. 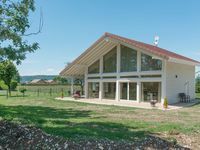 Property 52: Detached chalet - 5 people - 800m from the hedgehog waterfalls - Free Wi-Fi - Chalet N°8 "La Forge"
Facing Mt Blanc and Lake Geneva. Property 74: Facing Mt Blanc and Lake Geneva. Welcome to Le Petit Jura chalet! Property 89: Welcome to Le Petit Jura chalet! Vue exceptionnelle sur le Mont-Blanc ! Tr&egrave;s beau chalet, confortable et spacieux. Peaceful and rural. Just perfect to relax and still be able to do plenty of activities. The house ist very nice and to a very good standard. Gabrielle the owner is very friendly and helpful. It has been our second stay and we would go again.